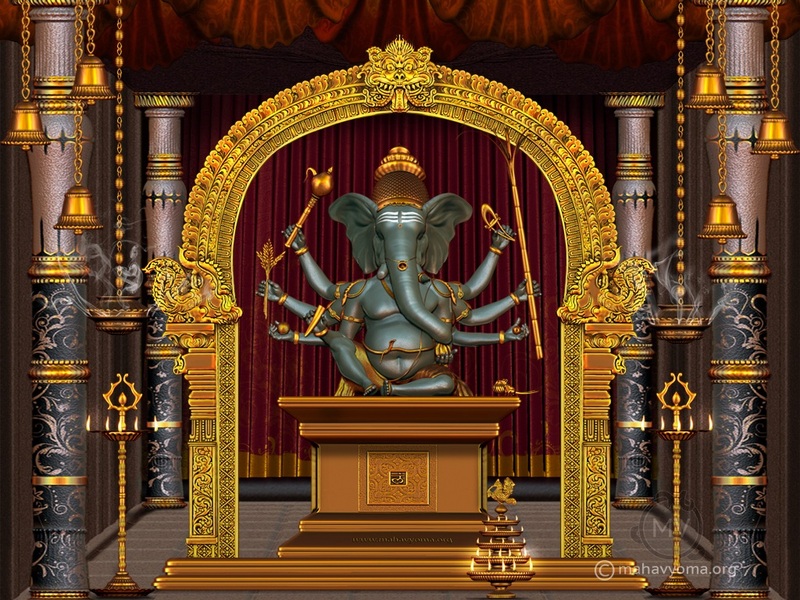 Taruna Ganapati is Eight-armed murthy. He is youthful. He holds a noose and goad, modaka, wood apple, rose apple, his broken tusk, a sprig of paddy and a sugar cane stalk. He is very golorious like a raising sun in the morning.